NEW YORK, NY – AOP (American Opera Projects) and Poets House present a discussion with award-winning poet and librettist J. D. McClatchy followed by a reading of his latest opera libretto The Leopard, based on the acclaimed novel by Giuseppe Tomasi di Lampedusa and directed by James Robinson. The discussion will be joined by The Leopard‘s composer Michael Dellaira and will feature a performance of music from the opera-in-development and a mid-event reception with the artists. The event will take place on Saturday, November 8 at 3 PM at Kray Hall in Poets House (10 River Terrace, New York, NY 10282 in Battery Park City). Tickets are $10, $7 for students and seniors, free to Poets House members and can be purchased at www.poetshouse.org. 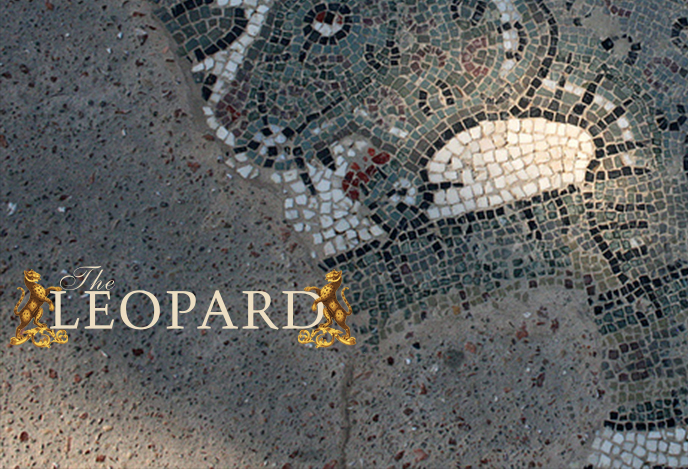 Commissioned and in development by AOP, The Leopard is the third opera from librettist J. D. McClatchy and composer Michael Dellaira, following The Secret Agent (2011) and The Death of Webern (2013). In their latest opera, the Prince of Salina, known as The Leopard because of his commanding personality, faces a society in upheaval during Garibaldi’s 1860 invasion of Sicily, and is forced to choose between decay and progress, between the downfall of the nobility and the future of his family. The completed opera will be in two acts. 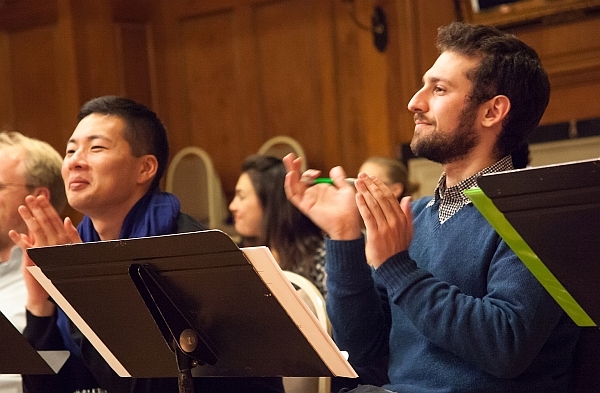 The Leopard has been commissioned by AOP and is currently in development as part pf the Brooklyn organization’s First Chance program that gives composers and librettists a first chance to hear their work performed before an audience. Development of the opera is made possible, in part, through generous funding by the Virginia B. Toulmin Foundation and the Paul Underwood Charitable Trust. Based on the internationally acclaimed 1958 novel Il Gattopardo by Giuseppe Tomasi di Lampedusa, The Leopard was also adapted into the 1963 film classic by Luchino Visconti starring Burt Lancaster and Claudia Cardinale. J. D. McClatchy is the author of eight books of poems, most recently Plundered Hearts: New and Selected Poems (Knopf). He has written libretti for Francis Thorne’s Mario and the Magician (1994), Tobias Picker’s Emmeline (1996), Lorin Maazel’s 1984 (with Thomas Meehan, 2005), Lowell Liebermann’s Miss Lonelyhearts (2006), Ned Rorem’s Our Town (2006), Elliot Goldenthal’s Grendel (with Julie Taymor, 2006), Bernard Rands’s Vincent (2011), Daron Hagen’s Little Nemo in Slumberland (2012), Martin Bresnick’s My Friend’s Story (2013), and Tobias Picker’s Dolores Claiborne (2013). His work has been performed at the Metropolitan Opera, Covent Garden, La Scala, the Kennedy Center, San Francisco Opera, and other leading opera stages around the world. James Robinson is regarded as one of America’s most inventive and sought-after stage directors. Artistic Director of Opera Theatre of Saint Louis, Robinson has staged productions for major opera companies, including New York City Opera, Santa Fe Opera, Houston Grand Opera, Washington National Opera, Welsh National Opera, Canadian Opera Company, San Francisco Opera, and Seattle Opera. Recent projects include the world premiere of Picker’s Dolores Claiborne for San Francisco Opera, the American premiere of Huang Ruo’s Dr. Sun Yat Sen for Santa Fe Opera and the world premiere of Champion. Michael Dellaira is the composer of three operas. His first, Chéri, on a libretto by Susan Yankowitz, produced by The Actors Studio and directed by Tony-Award winner Carlin Glynn, was a finalist for the 2006 American Academy of Arts and Letters Richard Rodgers Award in Musical Theater. From 2006-2010 he was composer-in-residence with the Center for Contemporary Opera, which co-commissioned The Secret Agent, his first collaboration with J. D. McClatchy. The Death of Webern, also on a libretto by J.D. 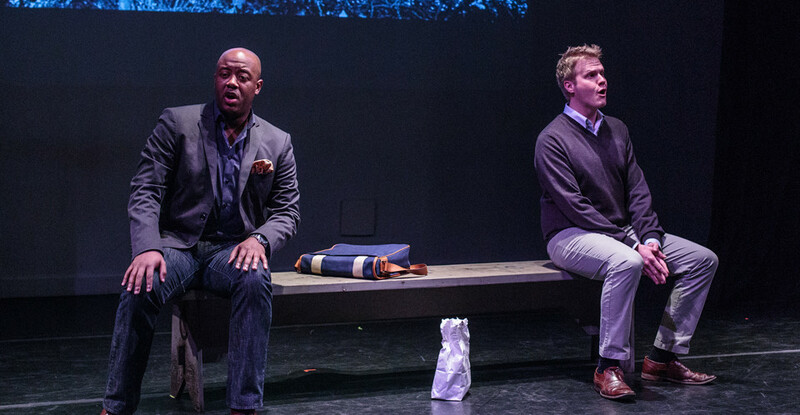 McClatchy, was commissioned by The Pocket Opera Players and premiered in October 2013. Poets House is a national 60,000-volume poetry library, literary center for adults and children, and exhibition space that invites poets and the public to step into the living tradition of poetry. Poets House – through its poetry resources, literary events, and archival and poetry-related visual art exhibitions – documents the wealth and diversity of modern poetry and stimulates public dialogue on issues related to poetry in culture. Founded in 1985 by two-time Poet Laureate Stanley Kunitz and legendary arts administrator Elizabeth Kray, the library has created a home for all who read and write poetry. In 2009, Poets House moved into its permanent home, at 10 River Terrace in Battery Park City, on the banks of the Hudson River. For more information about these events and Poets House in general, visit poetshouse.org and join us on Facebook and Twitter. Following its appearance in AOP’s Composers & the Voice training program, scenes from an opera-in-progress Legendary, music by Joseph Rubinstein, libretto by Jason Kim, have been selected by the Manhattan School of Music (MSM) to receive a staged performance at the music conservatory’s Greenfield Hall next Spring. In Legendary, famed drag performer Dee Legendary embarks on a passionate love affair with (police) Officer John, whose fascination with Dee takes an unexpected and dangerous turn. Inspired by a true story, Legendary is an opera about double lives and destructive desires set in the glory days of New York City’s underground drag culture. Legendary was developed during Rubinstein and Kim’s 2013-14 fellowship in AOP’s long running Composers & the Voice program (C&V). Along with five other composers, they received training for nine months with professional composers, librettists, and singers on creating opera and writing for the voice. A scene from Legendary was first presented to the public in September’s C&V Six Scenes concert. The first two scenes of Legendary will be presented in March by AOP First Chance, public presentations of operas-in-progress, as part of MSM’s annual Opera Index series “New American Opera Previews, From Page to Stage.” Legendary will be the 11th AOP-developed work to appear in Page to Stage at MSM. Previous C&V works at MSM have included Jack Perla’s Love Hate (2012 premiere, ODC Theater with San Francisco Opera), Gregory Spears’ Paul’s Case (World premiere, UrbanArias (2013) and PROTOtype Festival (Jan 2014)), and Daniel Sonenberg’s The Summer King (concert premiere, PortlandOvations, May 2014). Composers & the Voice holds a long-established partnership with The Manhattan School of Music, as well as a new affiliation with the UCLA Herb Alpert School of Music, as a way of introducing contemporary opera to students. Kim and Rubinstein in a 2013 Composers & the Voice workshop session. Photo by Ted Gorodetzky. You are currently browsing the Have a Voice blog archives for October, 2014.